The National Mentoring Summit, convened by MENTOR each year at the conclusion of National Mentoring Month, brings together over 1,000 youth mentoring professionals, advocates, researchers, philanthropic investors, and government and civic leaders for three days of advocacy and professional development. 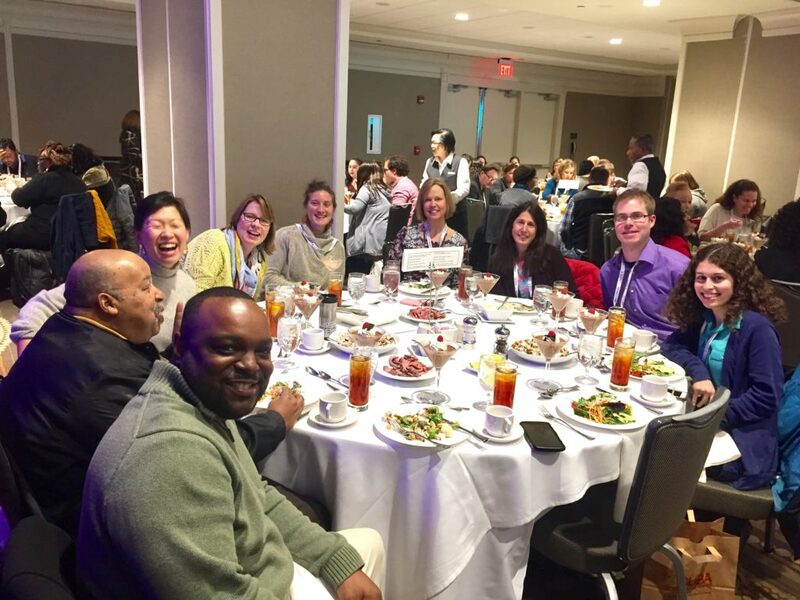 At this year’s event, earlier this February, 11 Vermont mentoring professionals (Chad and I from Mobius, and nine staff members from mentoring programs) made the trip to D.C. The theme of this year’s Summit was “Building Relationships, Advancing the Movement,” which fit well with the advocacy work that Mobius and four program staff members (from the Mentor Connector, King Street Center, Windsor County Partners, Girls/Boyz First, and Middlebury College’s Center for Community Engagement) did on the first day of the Summit. 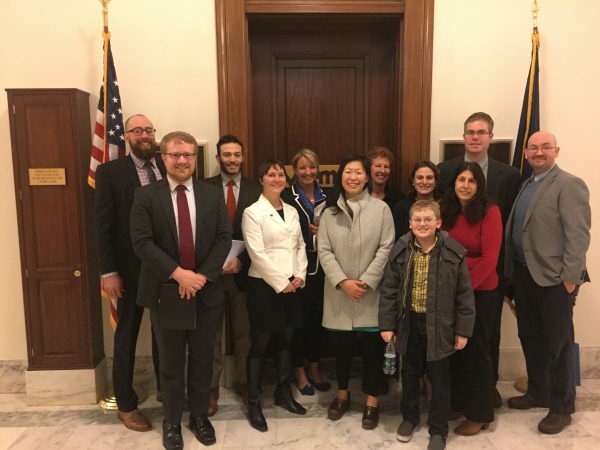 We travelled to Capitol Hill to meet with staff members from the offices of Senators Leahy and Sanders, and Representative Welch, to talk about the need for federal mentoring funding in Vermont and in other rural states. Days two and three of the Summit were focused on highlighting national partnerships (including the NBA and LinkedIn), sharing from the latest research in the field, and workshops where participants could learn more about specific topics. For more information on the partners and themes of the Summit, visit our Facebook album about the event. For Days two and three of the Summit, we were also joined by mentoring staff members from Essex CHIPS, Addison Northeast Supervisory Union, and Connecting Youth in Chittenden South. To try to capture what the value of attending the Summit is for someone who runs a mentoring program, we asked Gabriella Tufo-Strouse, the director of community outreach at the King Street Center (and a Board and Program Leadership Council member), to share from her experiences at this year’s event. Family engagement – looking at the importance of family involvement in the mentoring match. Hearing youth voices – giving youth a voice in the activities and events we hold each year. Gabriella’s participation in the Summit, and in Capitol Hill Day, was made possible through a financial scholarship awarded through the Vermont Mentoring Grants. We are grateful to the Permanent Fund for Vermont’s Children and the A.D. Henderson Foundation for providing funding for four such scholarships that allowed mentoring professionals from around the state to attend the event this year. We continue to be grateful to our partners at MENTOR for organizing this annual event, which allows us to be a part of a larger movement, and benefit from the awareness, advocacy, and knowledge that this national community continues to collectively build.